This bread is a rich source of omega 3, while still providing a great source of protein. This bread will give you a great boost of Low GI energy, while still providing a great source of your daily fibre requirements. 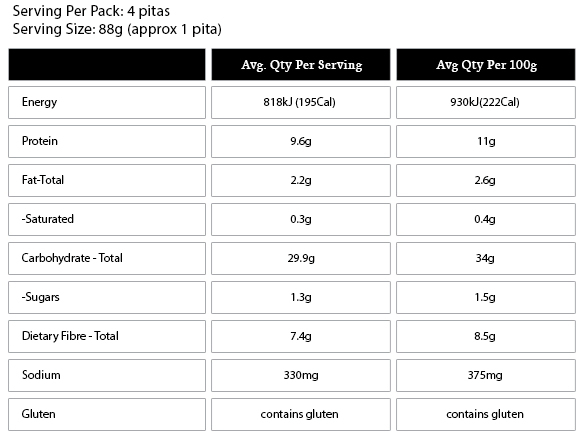 Our Low Carbo Sprouted Mixed Grain breads & rolls are made by using 100% “non milled flour”. All breads are made from sprouted wholegrains which are milled on demand at the bakery. 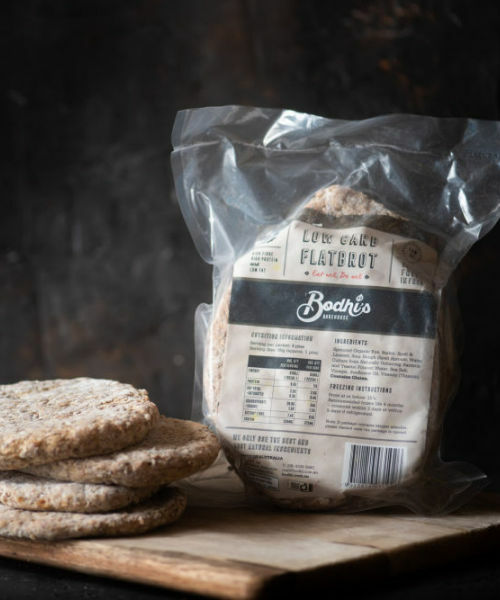 Made with Wholegrain Spelt, Rye and Barley Sprouts, Low Carbo Mixed Grain breads have a thick crumbed, dense grain that has a slightly woody and earthy flavour. Low Carbo Mixed Grain is a perfect bread for toasted sandwiches, fill with Swiss cheese, chicken, avocado and cracked black pepper and toast until the bread is a rich golden brown colour, and eat whilst the cheese is still melted. 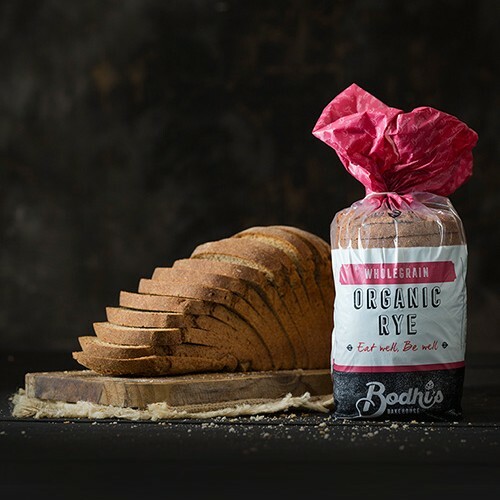 This is the first Bodhi’s loaves include 100% sprouted grains. 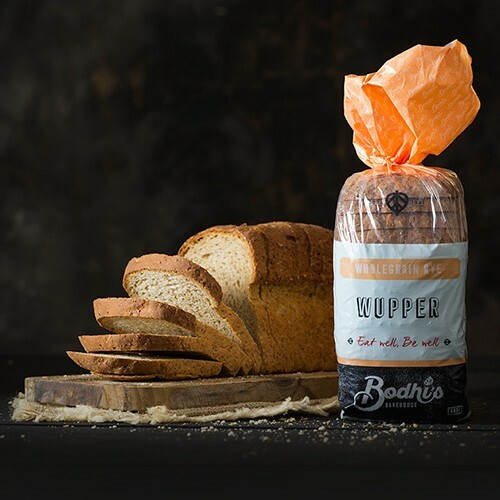 This bread has now become a true Bodhi’s classic. 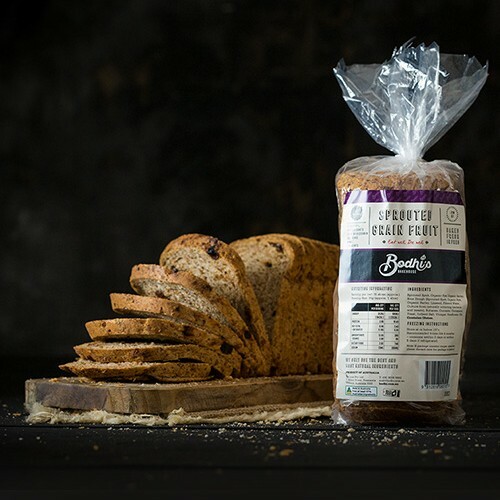 Low Carbo Sprouted Mixed Grain bread is a fantastic source of sprouted grains, wholegrain fibre, and a great source of Low GI energy. It is a low salt loaf that is also a great protein source full of Omega 3 rich milled linseeds. Sprouted Spelt, Sprouted Organic Rye and Barley, Filtered Water, Sour Dough (Made from sprouted grain and naturally occurring bacteria and yeasts), Sea Salt, Vinegar, Sunflower Oil.